The Annals of the Prophets and Kings (Taʾrīkh al-rusul wa-l-mulūk) by al-Ṭabarī (d. 923 C.E.) is one of the most important historical works about the first centuries of Muslim society in Arabic. 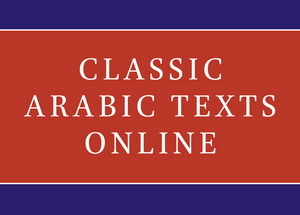 This classic Brill edition was supervised by M.J. de Goeje and was originally titled Annales quos scripsit Abu Djafar Mohammed Ibn Djarir At-Tabari. The Andalusian scholar ʿArīb b. Saʿd al-Qurṭubī (d. c. 980 C.E.) later composed a résumé of al-Ṭabarī’s Annals, which he continued down to his own times. That volume is also included here. To this day the De Goeje edition remains the only edition of the Annals with extensive indices. Abū Jaʿfar Muḥammad ibn Jarīr al-Ṭabarī (d. 923 C.E.) was a Persian-Arab historian, lawyer and Qurʾānic commentator. Michael Jan de Goeje (d. 1909) was Professor of Oriental languages in Leiden and the editor of numerous classical Arabic texts.